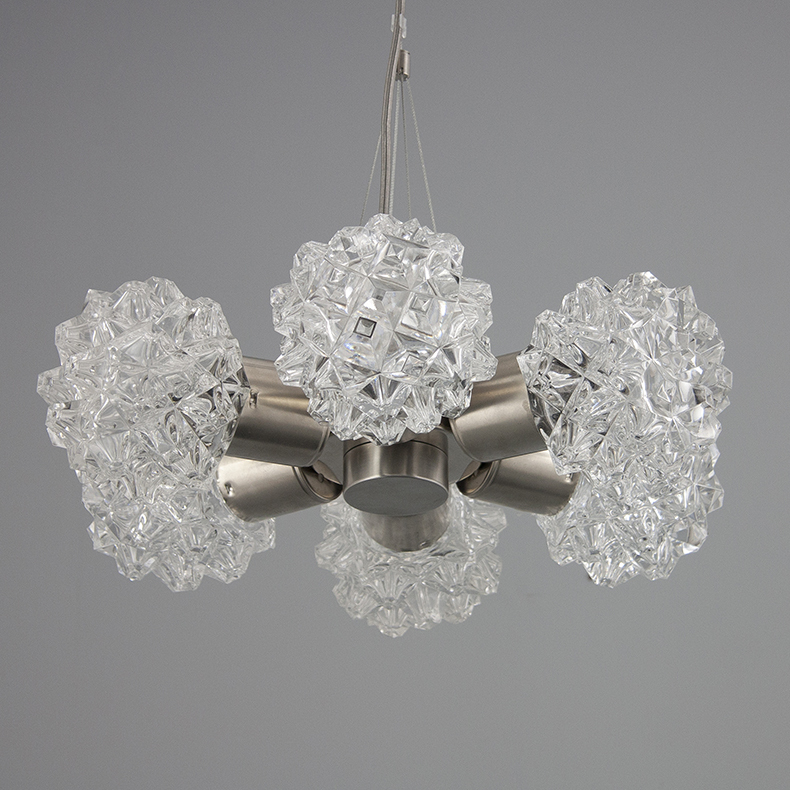 These 1970's chandelier-style pendants, were salvaged from the home of glassware the Czech Republic, are substantial yet surprisingly delicate. With only one of each size in our collection- one with four shades and one with six- these are as rare as it gets. 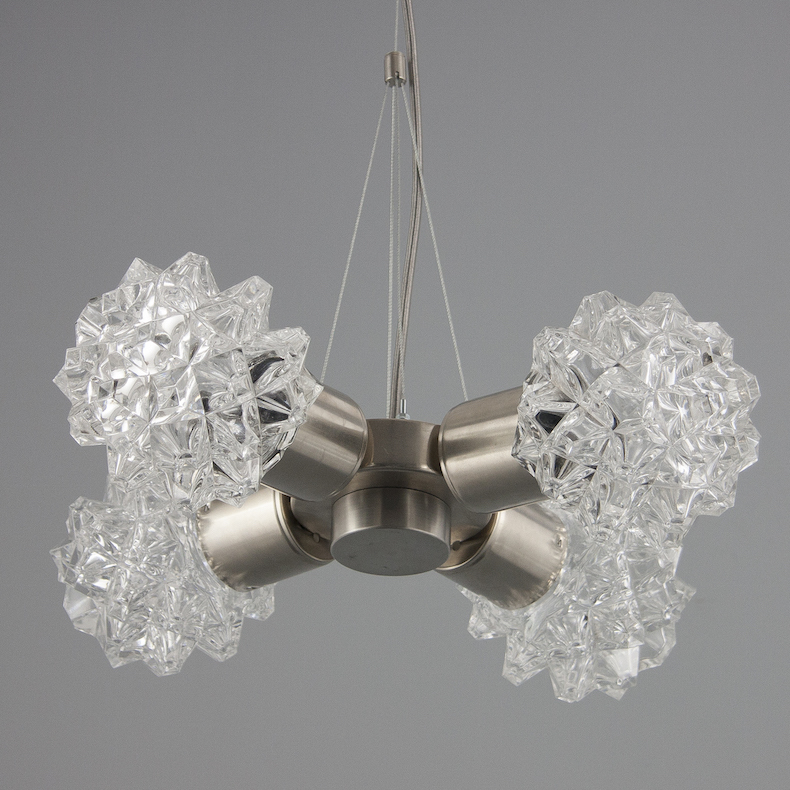 The almost fractal texture of the moulded glass shades gives a gently refracted quality to the light. Both pendants are fitted with original brushed nickel enclosures, equipped with new E14 screw lamp holders, and suspended from an understated stainless steel wire. 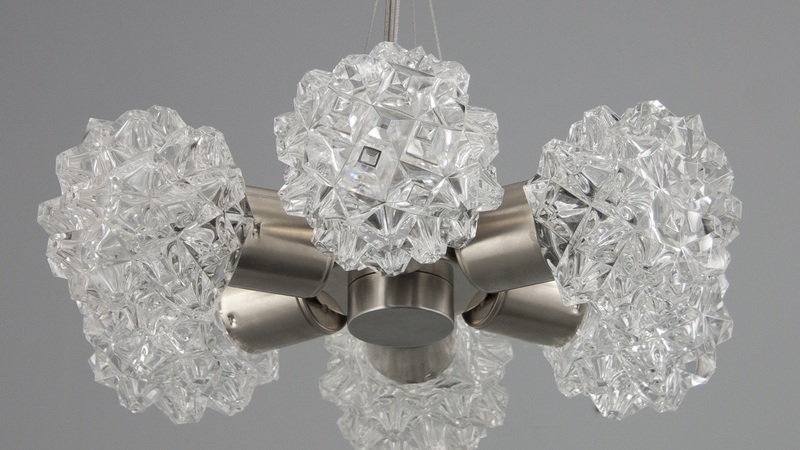 We have just added two new floorlights to our highly sought after collection.